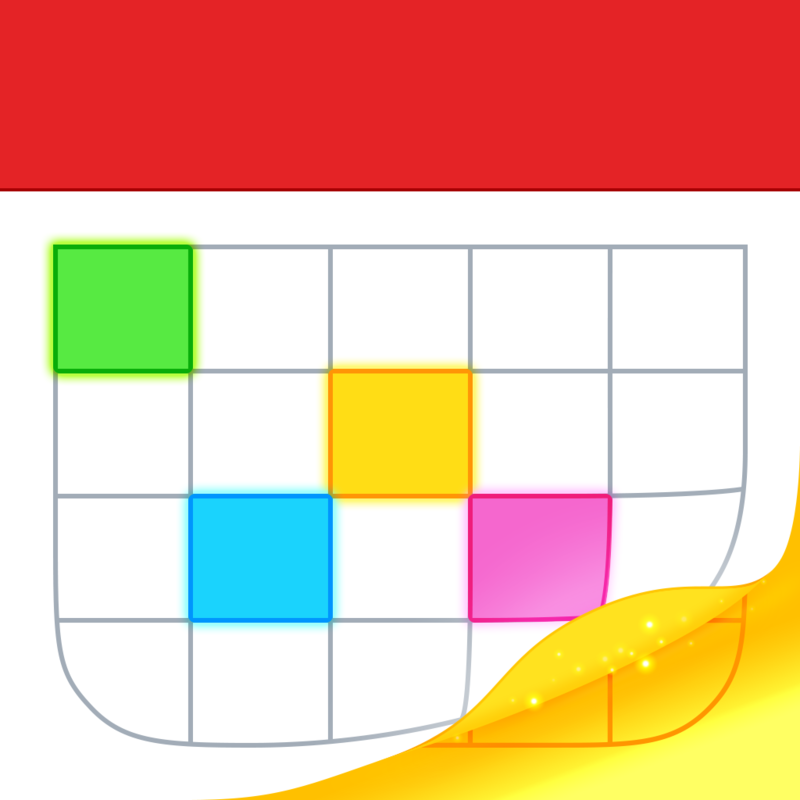 One of my favorite calendar apps, Fantastical for both iPhone and iPad, just received a major update today, bringing them both to version 2.2. We’ve covered both versions several times here on the site, and for good reason: it’s one of the best calendar apps you can get on iOS. If you have never used Fantastical 2 before on iOS, well, you should. Personally, I love the app because it features a slick interface that is a pleasure to navigate through with intuitive gestures. The Day Ticker gives me a quick and simple way to get a glance of the upcoming week, with all of my appointments and reminders neatly organized underneath. Switching to the month view and back to the Day Ticker is easy, thanks to the pull-down gesture. 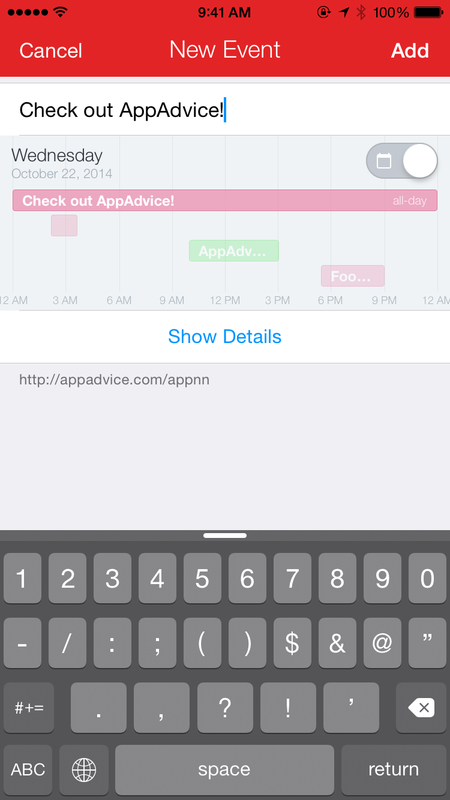 The app also integrates with Apple’s Reminders so you can have your calendar and task list together in a single hub. But my favorite part of Fantastical is the natural language input that you use to create new events and reminders, because it feels much more natural than tapping a bunch of different text fields. I’ve been a fan of Fantastical ever since the first version, and it has grown quite a bit since then. And now, thanks to iOS 8, the app has become even more useful than ever before. First off, the 2.2 update requires iOS 8, so if you haven’t updated yet, now would be a good time to do so. The reason for this is because of the new iOS 8 features, which include a Today widget, extension, and interactive notifications. I’ve been using the beta for some time now, and the Today widget is excellent and handy to have around. 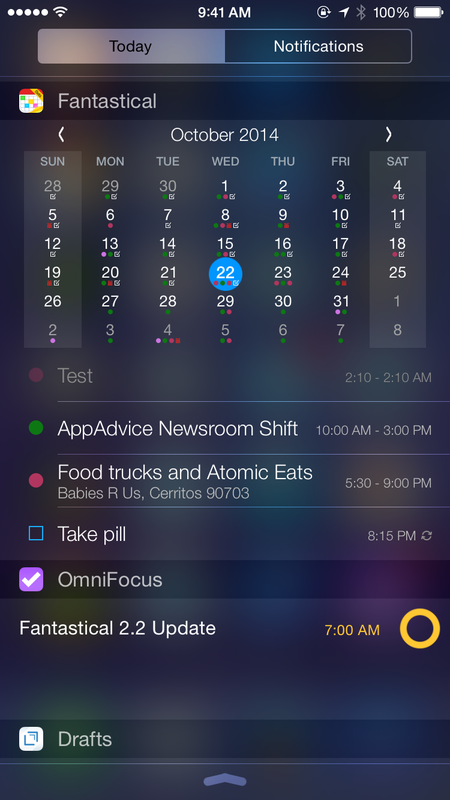 It displays a month calendar in the Today view in the Notification Center, with all event days marked clearly with their appropriately colored dots. Today’s date will be highlighted in blue so you can see it quickly, and underneath the month will be a list of your events and tasks for the today. Reminders can be checked off directly from the widget. 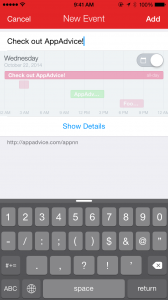 Create new events or tasks from anywhere with the Fantastical 2 iOS 8 extension. The extension works as you’d expect — it’s available from the native Share Sheet from other apps, and allows you to quickly create a new event or task with an attached link. To enable the extension, make sure you tap on the “More” button in the Share Sheet, and then toggle Fantastical (and any other apps you want to use an extension for). Fantastical’s interactive notifications allow users to quickly mark items off as completed, or snooze both events and tasks. While Fantastical for iPhone brought native display support for iPhone 6 and 6 Plus back in 2.1.3, the 2.2 update adds an expanded landscape mode for 6 Plus users. I’ve been using Fantastical exclusively since it first came out, and the app continues to get better and better with time. The new iOS 8 features are practical for daily use, and have helped make my life easier. This is a robust update for one of the best calendar apps out there now, and a great time to check it out for yourself. Fantastical for iPhone 2.2 and Fantastical for iPad 2.2 are both available as free updates for existing customers. New customers can get both versions on sale for a limited time at $2.99 for the iPhone version ($4.99 regular price) and $7.99 for iPad (normally $9.99).